Stormers coach Robbie Fleck believes his team ‘will gather the pieces and get up again’ after their 40-3 loss to the Vodacom Bulls at Loftus. 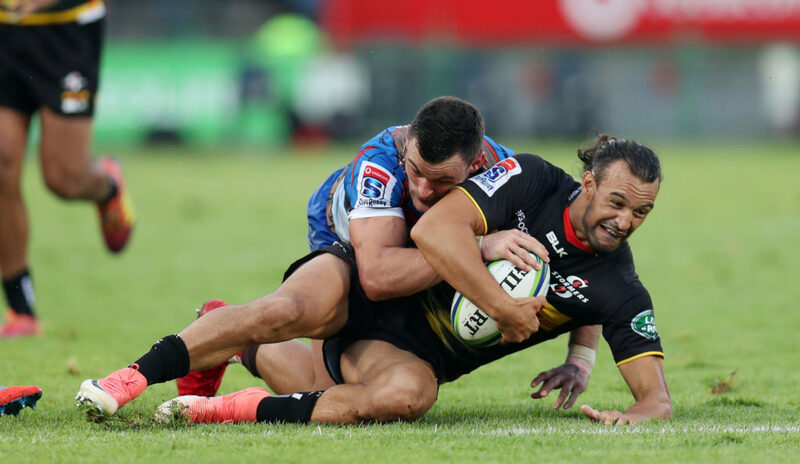 The Stormers came into the match expecting to give the Bulls a good contest, especially after their pre-season win over the same opponents on Superhero Sunday in Cape Town. However, the Bulls set about dismantling the Stormers defence, with a brace from debutant wing Rosko Specman, combined with solid performances from former Stormers Duane Vermeulen and Schalk Brits, helping the home side to a 40-3 victory. Speaking to the media after the match, Fleck remained confident his team could make a success of their Vodacom Super Rugby season. ‘It was a clinical performance from them and not so much from us,’ Fleck said. ‘We made too many mistakes and couldn’t get any possession so it certainly was an off day. It is not going to keep us down. ‘We had an excellent pre-season so we came into this game with a lot of confidence. Regardless of who was selected for this game we certainly came up here with the intention to win and we felt that we could. Fleck insisted that the well-documented off-field issues at the franchise did not have an effect on their performance against the Bulls. The Stormers move on to face the Lions, who impressed defensively in their first win over the Jaguares in Argentina, at Newlands next weekend, before travelling to take on the Sharks in Durban.